Pixar's journey into the mind of a young girl comes with an impressive voice cast: Amy Poehler as Joy, Bill Hader as Fear, Lewis Black as Anger, Mindy Kaling as Disgust and Phyllis Smith as Sadness. It's directed by Pete Docter (Monsters, Inc., Up). 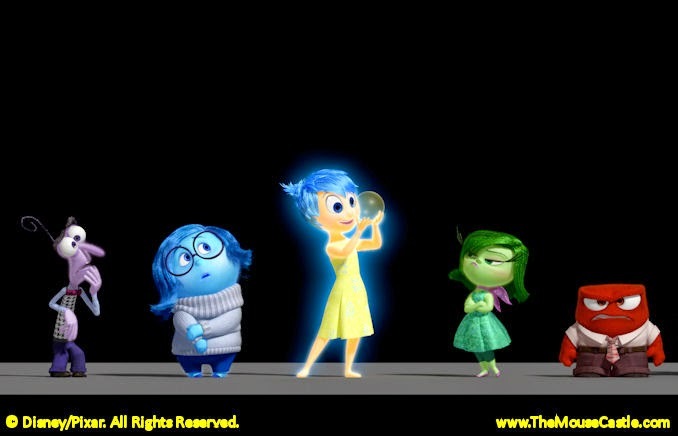 Inside Out opens in U.S. theaters on June 19, 2015. This is definitely one to look forward to. One question though: Is using Aerosmith in the trailer a sign of a new mashup ride at Disney's Hollywood Studios? Pixar's Sweet Emotional Roller Coaster anyone? Anyone?